Are Asians Really This Crazy? Representation of minorities in the media is a significant topic, which many underestimate the power of. Recently, a contemporary movie titled “Crazy Rich Asians” aired in cinemas. Translating from book to film, people from all over the world were eager to rush to their local cinemas and watch this milestone of a movie. The movie and novel, generated quite a stir of emotions and opinions. 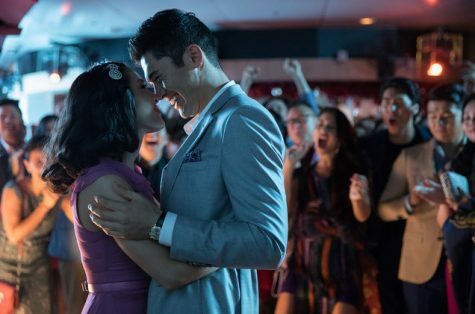 Joe Morgenstern, journalist for The Wall Street Journal summarizes the movie as “bright, buoyant and hilarious, though far from flawless, this romantic comedy is also a cultural milestone.” “Crazy Rich Asians” is the first major studio film since “The Joy Luck Club” (which opened almost a quarter century ago) to be created by an Asian filmmaker and portrayed through Asian-American actors landing all lead roles. By creating a film revolving around asian culture and asian society, the film industry is allowing for great diversity and variation of representation in the media. Although the movie generated an abundance of praise, and was applauded for being the first of its kind, the movie was most definitely far from perfect. Over the past weeks since the movie’s premier, I have encountered a variety of opinions and comments regarding the movie. When asked to comment on the topic, Emmy Thamakaison (10) argued that the generalized values of Asian societies are “Honor, work, and family.” This can be seen in Crazy Rich Asians, as the basis of the conflict in the film revolves around these three core values. Using a critical eye, Thamakaison also argues that the film “underrepresents the ethnic minorities in Singapore, as Crazy Rich Asians focuses mainly on Singapore’s Chinese population and omits the representation of other ethnicities, such as Malays or Indians, in Singapore. To improve upon this, the film should have included scenes and characters (not actors) from different ethnicities” to reflect the diversity and complexity present in Singaporean and other asian societies to add a more realistic element to the film. Fundamentally, representation in the media possesses the power to shape an audience’s knowledge and understanding about an important social issue/topic, shaping up to be a powerful tool to influence ideas and attitudes. Neila Choomchuay (10) further argues that “Crazy Rich Asians only shows one aspect of asian culture. Most asians do not possess that kind of luxurious lifestyle.” However it must also be taken into consideration that it is impossible to show everything in one movie. Representation is not limited to racial minorities, but also includes disabled communities, the LGBT communities, gender, ethnic, and other social groups. Through entertaining platforms such as movies, texts, and social media, powerful role models and influences inspire not just the present generation, but also the future generations. 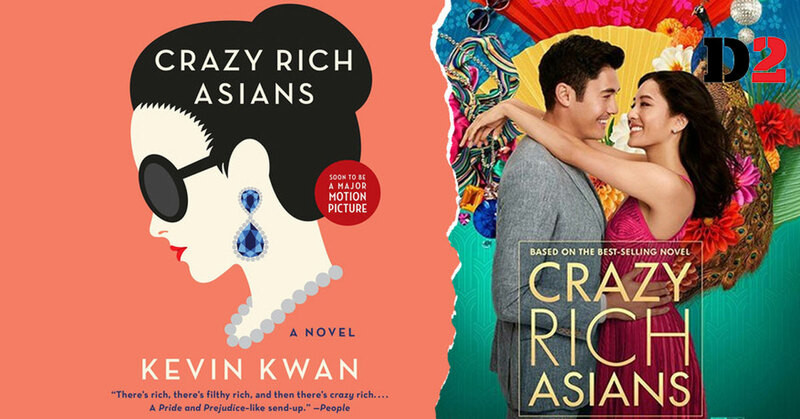 Atypical representation, such as the asian representation displayed in “Crazy Rich Asians”, challenges the status quo, as well as spreads fresh ideas to the international population. It also gifts minorities with a platform in which they can spread their messages and ideals. I don’t believe that “Crazy Rich Asians” thoroughly achieved this goal. The film was impressively composed of a group of individuals who are rarely prioritized in the Hollywood world, however the amount of publicity generated through the movie could have been used to convey much deeper and salient messages. It not only focused mainly on asian culture and ethnicity, but also about asian society. Rather than creating a film which solely focuses on the entertainment, romance and comedy aspects of the movie industry, if the movie tackled more realistic social issues, it would have created a much more lasting impression. Truthfully, in my honest opinion, the movie was a disappointment. I found myself trying to relate to the movie, but ultimately couldn’t. Many powerful movies instill a sense of urgency and hope into an individual, leaving an impact on you. “Crazy Rich Asians”, however, did not instill this feeling. While the book may have touched on more serious aspects, the movie surely didn’t. While the movie continues breaking records, and soaring to become a hit, many have yet to learn the truth behind Asian societies and culture. Journal, Wall Street. “’Crazy Rich Asians’ on Track for Labor Day Weekend Record.” The Wall Street Journal, Dow Jones & Company, 4 Sept. 2018, www.wsj.com/articles/crazy-rich-asians-on-track-for-labor-day-weekend-record-1536023525. Kim , Juhea. “As An Asian, I’m Seriously Not Thrilled About Crazy Rich Asians–Hear Me Out.” Peaceful Dumpling, Peaceful Dumpling, 31 Aug. 2018, www.peacefuldumpling.com/crazy-rich-asians.